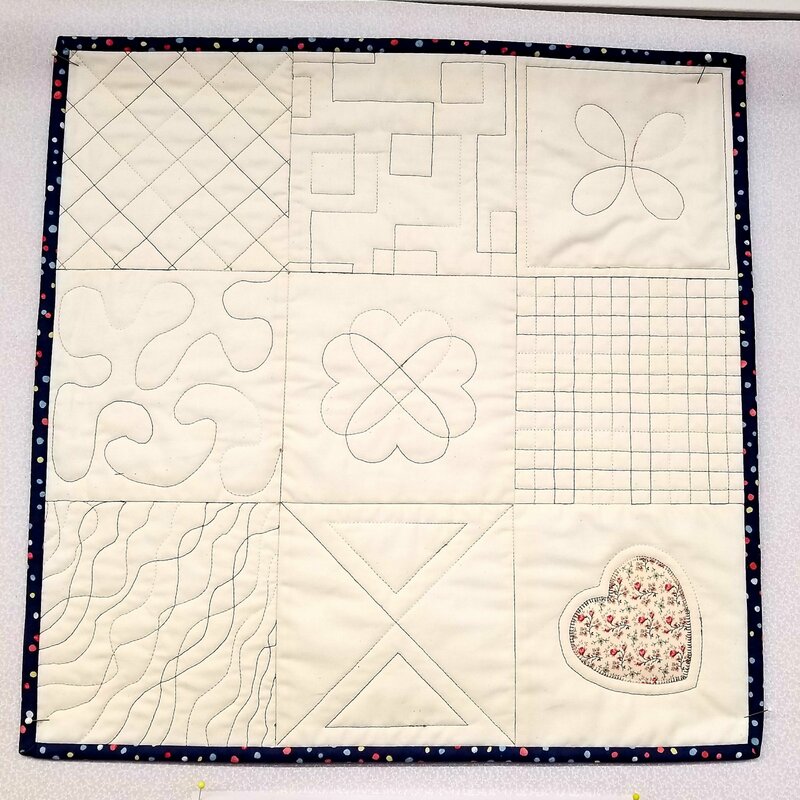 You will learn different techniques for quilting together your quilt top, batting, and backing. You will work with a 22-inch square sample piece - we will not create an actual project in this class. There is some prep work to be done before class (some simple piecing to create the top of your sample quilt). A walking foot is highly recommended. Required fabric preparation - PLEASE CUT AND SEW THE FOLLOWING BEFORE YOU COME TO CLASS. This allows for more class quilting time. Sew the 6 ½” squares together into 3 rows of 3 squares each. Sew the rows together, making a 9-patch square. Use ¼” seams.